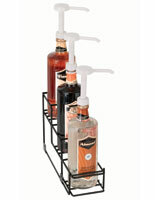 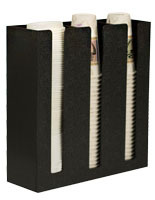 This hot cup sleeve dispenser puts your coffee service supplies within easy reach. 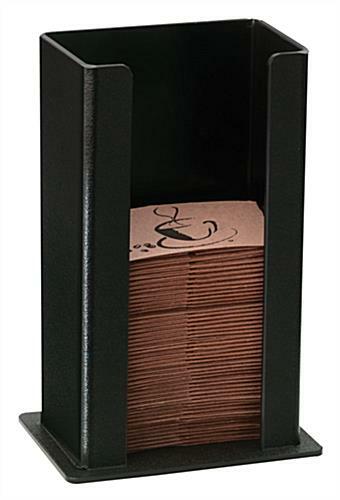 Designed to be placed right next to the drip coffee maker, the holder is a simple but necessary accessory that improves employee efficiency. 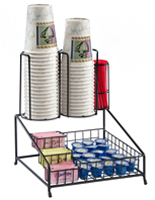 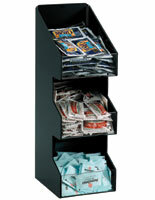 The hot cup sleeve dispenser is fabricated from black ABS plastic and stands at a height of 10", storing approximately 100 sleeves. 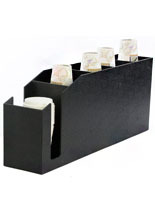 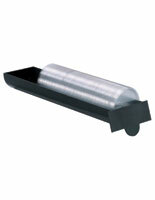 Thanks to the open design, dispensing and replenishing your hot cup sleeves is quick and easy.